An Asian spin on meatballs paired with pineapple makes a sweet and savory appetizer. Put it over rice and it makes a filling, delicious dinner. 1. 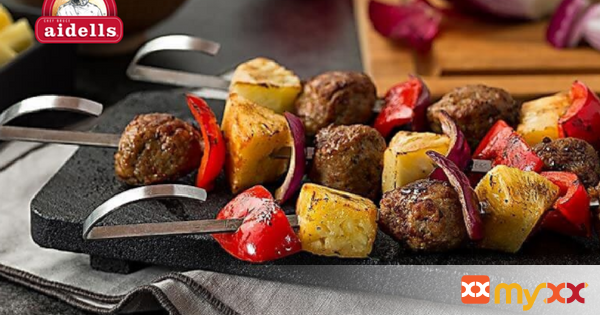 Thread the meatballs and pieces of pineapple, peppers and onion on skewers. Grill or broil on medium heat 7-10 minutes, brushing with teriyaki sauce until the meatballs are heated through.